Found in dry, loose mulch in potted lemon tree when I picked up a fallen lemon on which it may have been feeding. It came up with the lemon. Took it in for a portrait session and let it go back in a garden area. Hope it's not a pest! 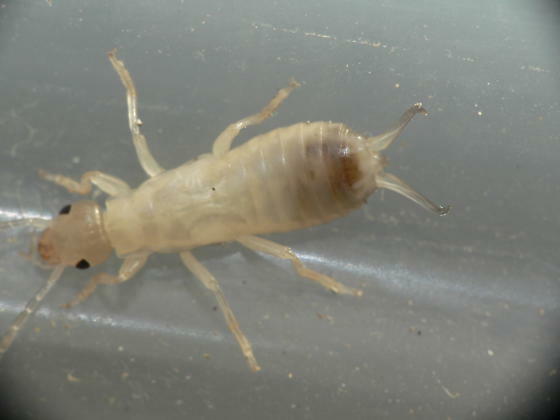 Thanks Ken, First time I have run across a white earwig and did not recognize it as such even though exceedingly common. Is it old enough to determine species?